Fausto Ferraccioli is a senior geophysicist at the British Antarctic Survey (BAS/NERC) where he is Head of Airborne Geophysics since 2002. Since April 2015 he is Science Leader of the Geology and Geophysics Team of BAS. He has launched, led and coordinated major international geosciences projects over several previously unexplored Antarctic frontiers. He was for example the UK lead for a flagship project of the International Polar Year (AGAP), where 7 nations pooled their resources to study the least understood mountain range on Earth, the Gamburtsev Subglacial Mountains. His scientific output includes publications in top-tier journals, including two papers in Nature, a paper in Science and two papers in Nature Geoscience. He has co-authored 110 publications and has contributed ~350 presentations at international meetings. Between 2011 and 2012 Ferraccioli was cited in 505 news items worldwide, making him the most cited member of BAS staff. His research on the Gamburtsev Subglacial Mountains was also highly viewed online with over 1.5 ML viewers on the BBC. Ferraccioli has been at the forefront in providing novel views of subglacial geology, crustal architecture and geodynamic processes that have shaped Antarctica over the last 20 years. He has also studied basal conditions and their impact on ice sheet dynamics and behaviour. He was awarded a PhD in Geophysics in the University of Genova in 2000, following a degree in Geology that he completed in 1995. 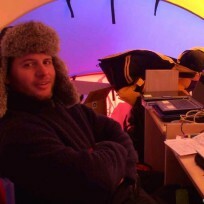 During his 9 years as an early career researcher, he was already a key player in externally funded Antarctic research projects of the Progetto Nazionale di Ricerche in Antartide (PNRA), contributing to 6 joint German-Italian geophysical and geological research projects over the Transantarctic Mountains and Marie Byrd Land. He has convened sessions at international meetings and organised international workshops that have also helped in launching new international research opportunities in geosciences. He has experience in teaching Solid Earth geophysics at undergraduate and graduate level. He has supervised undergraduate and PhD students and is currently supervising an EU-funded Marie Curie fellow. He has mentored early career geoscientists, managed the BAS aerogeophysics team, has been a member of the BAS Geosciences Management Group and Managing Change group and is currently a member of the BAS Science Strategy Team. He was awarded the Polar Medal in 2010 by HRH Prince Philip for “outstanding dedication and achievements in polar science”. In 2013 he was one of the candidates competing for Director of Science in BAS. In 2014, he obtained the Abilitation to Full Professor in Geophysics awarded by the Italian Ministry of Education, Universities and Research (MUIR). In June 2014, he was one the winners of the MUIR direct call competition for internationally recognised outstanding Italian researchers working abroad. Ferraccioli is a mid-career geoscientist active in the field of Antarctic geosciences over the last 20 years. He has co-authored 110 publications. He has published in many top tier journals including Nature (2), Science (1), Nature Geoscience (2) and leading journals in geosciences (including Geology, Earth and Planetary Science Letters, Geophysical Research Letters, Journal of Geophysical Research, Terra Nova, Geochemistry, Geophysics, Geosystems, Tectonophysics and Gondwana Research). He has an H-index of 21, 1820 citations and a i10 index of 41. The number of his publications and his citations have increased significantly in the last 5 years. Several of his top ten publications are ranked amongst the top 5% in the field of Antarctic geosciences. This paper links the most enigmatic mountain range on Earth with the tectonic evolution of East Antarctica and further emphasises the importance of intraplate mountain building for ice sheet development. This paper reveals that widespread accretion occurs at the base of East Antarctic Ice Sheet with major implications for the search of the oldest ice, rheology, and subglacial environs. This paper shows that the Weddell Sea sector of the West Antarctic Ice Sheet is underlain by deep bedrock topography that may make it more susceptible to future instability than previously thought. This paper shows that glacially overdeepened rift basins can steer dynamic thinning of the West Antarctic Ice Sheet further inland thereby potentially promoting enhanced ice sheet stability. This paper shows that water flow at the edge of the Antarctic ice sheet can be channelized with significant implications for our understanding of how hydrology influences ice sheet dynamics. This paper describes a state of the art continental-scale compilation of Antarctic bed topography and is currently the most widely used product for glaciological, geological and geophysical research. This paper reveals the subglacial topography under one of the most rapidly changing parts of the Antarctic Ice Sheet and the dataset has been widely used to model its behavior. This paper presents the first modern geophysical view of the Wilkes Subglacial Basin, a key tectonic feature where one of the largest marine-based sectors of the East Antarctic Ice Sheet developed. This paper reveals the structure of the Antarctic Peninsula further demonstrating the utility of potential field investigations for studies of large-scale subduction and accretionary processes. This paper reveals the tectonic and topographic segmentation of the longest rift-related mountain range in the world and reveals basement structures that influence such segmentation. Scheinert M., Ferraccioli F., Schwabe J., Bell R., Studinger M., Damaske D., Jokat J., Aleshkowa N., Jordan T.A., Leitchenkov G., Blankenship D.D., Damiani T.M., Cochran J.R., Richter T.D., 2016. New Antarctic Gravity Anomaly Grid for Enhanced Geodetic and Geophysical Studies in Antarctica. Geophysical Research Letters doi:10.1002/2015GL067439. Bowman, V., J. Ineson, J. Riding, J. Francis, D. Condon, J. Crame, R. Whittle, F. Ferraccioli, 2015. The Paleocene of Antarctica: biostratigraphy and palaeogeographical implications for the Palaeo-Pacific margin of Gondwana. Gondwana Research http://dx.doi.org/10.1016/j.gr.2015.10.018. Ferraccioli F., 2015. Antarctic Frontiers as revealed from a decade of aerogeophysical exploration. First Break, European Association of Geoscientists & Engineers, doi: 10.3997/2214-4609.201411994. Rose, K. C., N. Ross, R. G. Bingham, H. F. J. Corr, F. Ferraccioli, T. A. Jordan, A. M. Le Brocq, D. M. Rippin, and M. J. Siegert, 2015. Ancient pre-glacial erosion surfaces preserved beneath the West Antarctic Ice Sheet. Earth Surf Dynamics, 2, 139-152, doi: 10.5194/esurf-3-139-2015. Bingham, R.G., D.M. Rippin, N.B. Karlsson, H.F.J. Corr, F. Ferraccioli, T.A. Jordan, Anne M. Le Brocq, Kathryn C. Rose, Neil Ross and Martin J. Siegert, 2015. Ice‐flow structure and ice‐dynamic changes in the Weddell Sea sector of West Antarctica from radar imaged internal layering. J. Geophys. Res. (Earth Surf. ), 120, 655–670, doi:10.1002/2014JF003291. Creyts, T.T., F. Ferraccioli,R.E. Bell, M. Wolovick, H. Corr, K.C. Rose,N. Frearson, D.Damaske, T.Jordan,D. Braaten, and C. Finn, 2014. Freezing of ridges and water networks preserves the Gamburtsev Subglacial Mountains for millions of years. Geophysical Research Letters, 41, doi:10.1002/2014GL061491. Wright A., Le Brocq A., Cornford, S, Siegert, M. J., Bingham, R., Corr H.F. J., Ferraccioli, F, Jordan, T. Rippin, D., Ross N. , 2014 Sensitivity of the Weddell Sea sector ice streams to sub-shelf melting and surface accumulation. The Cryosphere, 8, 2119-2134. 10.5194/tc-8-2119-2014. Rose, K.C., N. Ross, R.G. Bingham, H.F.J. Corr, F.Ferraccioli, T.A. Jordan, A.M. Le Brocq, D.M. Rippin and M.J. Siegert, 2014. A temperate former West Antarctic ice sheet suggested by an extensive zone of subglacial meltwater channels. Geology, doi: 10.1130/G35980.1. Jordan, T.A., R.F. Neale, P.T. Leat, A.P.M. Vaughan, M.J. Flowerdew, T.R. Riley,M.J. Whitehouse and F. Ferraccioli, 2014. Structure and evolution of Cenozoic arc magmatism on the Antarctic Peninsula: a high resolution aeromagnetic perspective. Geophysical Journal International, 198, 1758–1774. Aitken, A.R.A., D. A. Young, F. Ferraccioli, P. G. Betts, J. S. Greenbaum, T. G. Richter, J. L. Roberts, D. D. Blankenship, and M. J. Siegert, 2014. The subglacial geology of Wilkes Land, East Antarctica. Geophysical Reserach Letters, 41, 2390–2400, doi:10.1002/2014GL059405. Rippin, D.M., R.G. Bingham, T.A. Jordan, A.P.Wright, N.Ross, H.F.J. Corr, F. Ferraccioli, A.M. Le Brocq, K.C. Rose, M.J. Siegert, 2014. Basal roughness of the Institute and Möller Ice Streams, West Antarctica: Process determination and landscape interpretation. Geomorphology 214, 139–147. http://dx.doi.org/10.1016/j.geomorph.2014.01.021. Siegert, M.J., N. Ross, H. Corr, B. Smith, T. Jordan, R. G. Bingham, F. Ferraccioli, D. M. Rippin, and A. Le Brocq. 2014. Boundary conditions of an active West Antarctic subglacial lake: implications for storage of water beneath the ice sheet. The Cryosphere 8, 15–24, doi:10.5194/tc-8-15-2014. Ross, N., T.A. Jordan, R.G. Bingham, H.F.J. Corr, F. Ferraccioli, A.M. Le Brocq, D.M. Rippin, A.P. Wright and M.J. Siegert, 2014. The Ellsworth Subglacial Highlands: inception and retreat of the West Antarctic Ice Sheet. Geological Society of America Bulletin. doi: 10.1130/B30794.1. Le Brocq, A.M., Ross, N., Griggs, J.A., Bingham, R.G., Corr, H.F.J., Ferraccioli, F., Jenkins, A., Jordan, T.A., Payne, A.J., Rippin D.M., Siegert, M.J., 2013. Evidence from ice shelves for channelized meltwater flow beneath the Antarctic Ice Sheet. Nature Geoscience. DOI: 10.1038/NGEO1977. Rose, K. C., F. Ferraccioli, S. S. R. Jamieson, R. E. Bell, H. Corr, T. T. Creyts, D. Braaten, T. A. Jordan, P. Fretwell and D. Damaske, 2013. Early East Antarctic Ice Sheet Growth Recorded in the Landscape of the Gamburtsev Subglacial Mountains. Earth Planet. Sci. Lett. http://dx.doi.org/10.1016/j.epsl.2013.03.053. Smith, A. M., T. A. Jordan, F. Ferraccioli and R. G. Bingham, 2013. Influence of subglacial conditions on ice stream dynamics: Seismic and potential field data from Pine Island Glacier, West Antarctica. J. Geophys. Res. doi:10.1029/2012JB009582. Ferraccioli, F., Ralph von Frese, Marta Ghidella, 2013 (Guest Editors). Recent advances in Antarctic Geomagnetism and Lithosphere studies. Tectonophysics, 585, 1-2, 10.1016/j.tecto.2012.11.002. Golynsky, R. Bell, D. Blankenship, D. Damaske, F. Ferraccioli, C. Finn, D. Golynsky, S. Ivanov, W. Jokat, V. Masolov, S. Riedel, R. von Frese, D. Young, ADMAP Working Group, 2013. Air and shipborne magnetic surveys of the Antarctic into the 21st century. Tectonophysics, 585, 3-12, 10.1016/j.tecto.2012.02.017. Anke S. Wendt, Alan P.M. Vaughan, F. Ferraccioli, Anne M. Grunow, 2013. Magnetic susceptibilities of rocks of the Antarctic Peninsula: Implications for the redox state of the batholith and the extent of metamorphic zones. Tectonophysics, 585, 48-67, 10.1016/j.tecto.2012.07.011. M.E. Ghidella, O.M. Zambrano, F. Ferraccioli, J.M. Lirio, A.F. Zakrajsek, J. Ferris, T.A. Jordan 2013. Analysis of James Ross Island volcanic complex and sedimentary basin based on high-resolution aeromagnetic data. Tectonophysics, 585, 90-101, 10.1016/j.tecto.2012.06.039. Jordan, T.A., F. Ferraccioli, Neil Ross, Hugh F.J. Corr, Philip T. Leat, Rob G. Bingham, David M. Rippin, Anne le Brocq, Martin J. Siegert, 2013. Inland extent of the Weddell Sea Rift imaged by new aerogeophysical data. Tectonophysics, 585, Pages 137-160, 10.1016/j.tecto.2012.09.010. Jordan, T.A. F. Ferraccioli, E. Armadillo, E. Bozzo, 2013. Crustal architecture of the Wilkes Subglacial Basin in East Antarctica, as revealed from airborne gravity data. Tectonophysics, 585, 196-206, 10.1016/j.tecto.2012.06.041. Golynsky, A.V., S.V. Ivanov, A. Ju. Kazankov, W. Jokat, V.N. Masolov, R.R.B. von Frese, the ADMAP Working Group, incl. F. Ferraccioli, 2013. New continental margin magnetic anomalies of East Antarctica. Tectonophysics, 585, 172-184, 10.1016/j.tecto.2012.06.043. Bingham, R.G., Ferraccioli, F., King, E.C., Larter, R.D., Pritchard, H.D., Smith, A.M. & Vaughan, D.G., 2012. Inland thinning of West Antarctic Ice Sheet steered along subglacial rifts. Nature, 487, 468-471.DOI: 10.1038/nature11292. Ross, N., Bingham, R.G., Corr, H.F.J., Ferraccioli, F., Jordan, T.A., Le Brocq, A., Rippin, D.M., Young, D., Blankenship, D.D. & Siegert, M.J., 2012. Steep reverse bed slope at the grounding line of the Weddell Sea sector in West Antarctica. Nature Geoscience, 5, 393-396. Ferraccioli, F., Finn, C. A., Jordan, T.A., Bell, R.E., Anderson, L.M., Damaske, D., 2011. East Antarctic Rifting Triggers Uplift of the Gamburtsev Mountains. Nature, 479, 388-392, doi: 10.1038/nature10566. Bell, R.E., Ferraccioli, F., T.T. Creyts, D. Braaten, H. F.J. Corr, I. Das, D. Damaske, N. Frearson, T. A. Jordan, K. Rose, M. Studinger, M. Wolovick, 2011. Widespread Persistent Thickening of the East Antarctic Ice Sheet by Freezing from the Base. Science 331; doi: 10.1126/science.1200109. Jordan, T.A., Ferraccioli, F., Corr, H., Graham, A., Armadillo E., Bozzo, E., 2010. Hypothesis for mega-outburst flooding from a palaeo-subglacial lake beneath the East Antarctic Ice Sheet. Terra Nova, 22(4), 283-289, doi: 10.1111/j.1365-3121.2010.00944.x. Jordan, T.A., Ferraccioli, F., Vaughan, D.G. , Holt, J.W. , Corr, H. , Blankenship, D.D. , Diehl, T.M., 2010. Aerogravity evidence for major crustal thinning under the Pine Island Glacier region (West Antarctica), Geological Society of America Bulletin, 122, 714-726, doi: 10.1130/B26417.1. Ferraccioli, F., Armadillo, E., Jordan, T.A., Bozzo, E., Corr, H., 2009. Aeromagnetic exploration over the East Antarctic Ice Sheet: a new view of the Wilkes Subglacial Basin, Tectonophysics, 478, 62–77, doi:10.1016/j.tecto.2009.03.013. Ferraccioli, F., Armadillo, E., Zunino, A., Bozzo, E., Rocchi, S., Armienti, P., 2009. Magmatic and tectonic patterns over the Northern Victoria Land sector of the Transantarctic Mountains from new aeromagnetic imaging. Tectonophysics, 478, 43–61, doi:10.1016/j.tecto.2008.11.028. Jordan, T.A., Ferraccioli, F., Jones, P.C., Smellie, J.L., Ghidella, M.E., Corr, H., 2009. Airborne gravity reveals interior of Antarctic volcano. Physics of the Earth and Planetary Interiors 175, 127-136, doi:110.1016/j.pepi.2009.1003.1004. Diehl, T.M., Holt, J.W., Blankenship, D. D., Young, D.A., Jordan, T.A., Ferraccioli, F. 2008. First airborne gravity results over the Thwaites Glacier catchment, West Antarctica. Geochemistry, Geophysics, Geosystems, 9 (4), Q04011. doi: 10.1029/2007GC001878. Kim, H. R; von Frese, R.R.B., Taylor, P.T., Golynsky, A.V., Gaya-Piqué, L.R., Ferraccioli, F., 2007. Improved magnetic anomalies of the Antarctic lithosphere from satellite and near-surface data. Geophysical Journal International, 171 (1). 119-126. doi: 10.1111/j.1365-246X.2007.03516.x. Bamber, J.L., Ferraccioli, F., Joughin, I. , Shepherd, T. , Rippin, D.M. , Siegert, M. J., Vaughan, D.G., 2006. East Antarctic ice stream tributary underlain by major sedimentary basin. Geology 34(1), 33-36; doi: 10.1130/G22160.1. Ferraccioli, F., Jones, P.C. , Vaughan, A. P. M. , Leat, P. T., 2006. New aerogeophysical view of the Antarctic Peninsula: More pieces, less puzzle. Geophysical Research Letters, 33, L05310, doi:10.1029/2005GL024636. Shepherd, T., Bamber, J.L., Ferraccioli, F., 2006. Subglacial geology in Coats Land, East Antarctica, revealed by airborne magnetics and radar sounding. Earth and Planetary Science Letters, 244, 323-335. Vaughan, D.G., Corr, H.F. J., Ferraccioli, F. , Frearson, N. , O’Hare, A., Mach, D., Holt, J. W., Blankenship, D.D., Morse, D., Young, D.A., 2006. New boundary conditions for the West Antarctic ice sheet: Subglacial topography beneath Pine Island Glacier, Geophysical Research Letters, 33, L09501, doi:10.1029/2005GL025588. Ferraccioli, F., Jones, P.C., Curtis, M.L., Leat, P.T., Riley, T.R., 2005. Tectonic and magmatic patterns in the Jutulstraumen rift(?) region, East Antarctica, as imaged by high-resolution aeromagnetic data. Earth Planets and Space, 57, 767-780. Tikku A.A., Bell, R.E., Studinger, M , Clarke, G.K.C. , Tabacco, I. , Ferraccioli, F., 2005. Influx of meltwater to subglacial lake Concordia, East Antarctica. Journal of Glaciology 51(172), 96-104. Armadillo E., F. Ferraccioli, G. Tabellario, E. Bozzo, 2004. Electrical structure across a major ice-covered fault belt in Northern Victoria Land (East Antarctica), Geophysical Research Letters, 31, L10615, doi:10.1029/2004GL019903. Ferraccioli, F., and E. Bozzo, 2003. Cenozoic strike-slip faulting from the eastern margin of the Wilkes Subglacial Basin to the western margin of the Ross Sea Rift: an aeromagnetic connection. In: Storti, F., Holdsworth, R.E., Salvini, F., Intraplate strike-slip deformation belts, Geological Society, London, Special Publications, 210, 109-133. Damaske D., Ferraccioli, F., and Bozzo, E., 2003. Aeromagnetic anomaly investigation along the Antarctic coast between Yule Bay and Mertz Glacier, Terra Antartica, 10(3), 85-96. Reitmayr, G., Korth, W., Caneva, G., Ferraccioli, F., 2003. Gravity survey at the Oates Coast area, East Antarctica, during the joint German-Italian expedition 1999/2000, Terra Antartica, 10(3), 97-104. Ferraccioli F., Damaske, D., Bozzo, E., Talarico, F., 2003. The Matusevich aeromagnetic anomaly over Oates Land, East Antarctica, Terra Antartica, 10(3), 221-228. Talarico F., Armadillo, E., Ferraccioli, F. , Rastelli, N., 2003. Magnetic petrology of the Ross Orogen in Oates Land (Antarctica), Terra Antartica, 10(3), 197-220. Chiappini, M., Ferraccioli, F., Bozzo, E., Damaske, D., 2002. Regional compilation and analysis of aeromagnetic anomalies for the Transantarctic Mountains-Ross Sea sector of the Antarctic. Tectonophysics, 347, 121-137. Ferraccioli, F., E. Bozzo, D. Damaske, 2002. Aeromagnetic signatures over western Marie Byrd Land provide insight into magmatic arc basement, mafic magmatism and structure of the eastern Ross Sea Rift flank, Tectonophysics, 347, 139-165. Ferraccioli, F., E. Bozzo, and E. Armadillo, 2002. A high-resolution aeromagnetic field test in Friuli: towards developing remote location of buried ferro-metallic bodies. Annals of Geophysics, 45, 219-232. Ferraccioli F., E. Bozzo, and G. Capponi, 2002. Aeromagnetic and gravity anomaly constraints for an early Paleozoic subduction system of Victoria Land, Antarctica, Geophysical Research Letters, 29 (10), doi:10.1029/2001GL014138. Ferraccioli F., Coren F.,Bozzo E., Zanolla C., Gandolfi S., Tabacco I. and Frezzotti M., 2001. Rifted(?) crust at the East Antarctic Craton margin: gravity and magnetic interpretation along a traverse across the Wilkes Subglacial Basin region, Earth and Planetary Science Letters, 197, 407-421. Ferraccioli F., Armadillo, E., Bozzo, E., Privitera, E., 2000. Magnetics and gravity image tectonic framework of the Mt Melbourne volcano area (Antarctica), Physics and Chemistry of the Earth, 25(4), 387-393. Ferraccioli F., Damaske, D., Bozzo, E., Spano, M. , Chiappini, M., 2000. Magnetic anomaly patterns over crustal blocks of the King Edward VII Peninsula, Marie Byrd Land, West Antarctica, Annali di Geofisica, 43(2), 229-241. Armadillo E., Ferraccioli F., Bozzo E., Caneva G., Caneva A., 2000. Assesment of deep electrical conductivity features of northern Victoria Land (Antarctica) under other geophysical constraints, Annali di Geofisica, 43(2), 279-288. Bozzo, E., Ferraccioli, F., Gambetta, M., Caneva, G., Spano, M., Chiappini, M., Damaske, D., 1999. Recent progress in magnetic anomaly mapping over Victoria Land (Antarctica) and the GITARA 5 survey, Antarctic Science, 11 (2), 209-216. Chiappini, M., Ferraccioli, F., Bozzo, E., Damaske, D., Behrendt, J.C., 1999. First stages of INTRAMAP: INtegrated Transantarctic mountains Ross sea Area Magnetic Anomaly Project, Annali di Geofisica, 42, 2, 277-292. Ferraccioli F. and Bozzo E., 1999. Inherited crustal features and tectonic blocks of the Transantarctic Mountains: an aeromagnetic perspective (Victoria Land – Antarctica), Journal of Geophysical Research, 104, 11, 25297-25319. Chiappini, M., von Frese, R.R.B., J. Ferris, ADMAP Working Group, 1998. Effort to develop magnetic anomaly database aids Antarctic research, EOS Trans. American Geophys. Union, 23. Ferraccioli F., Gambetta, M, Bozzo, E., 1998. Microlevelling precedures applied to regional aeromagnetic data: an example from the Transantarctic Mountains (Antarctica), Geophysical Prospecting, 46, 177-196. Chiappini M., Ferraccioli, F., Bosi, V., Bozzo, E., Caneva G., Funiciello, R., 1998. An experimental aeromagnetic survey in the Volturno Valley area (south-eastern Latium), Annali di Geofisica, 41, 469-476. Bozzo E., Ferraccioli, F., Wilson, T., 1997. Structural framework of a high resolution aeromagnetic survey, southwestern Ross Sea (Antarctica), Terra Antartica 4(1), 51-56. Johnson, A.C., von Frese R.R.B., & ADMAP Working Group, Report of the SCAR/IAGA Working Group on the Antarctic Digital Magnetic Anomaly Map, British Antarctic Survey and National Science Foundation, Report Progress in Antarctic Earth Science. Note- Dr. Fausto Ferraccioli was/is an active member of ADMAP, ACRUP, & TENAP International Working Groups and contributed to data analysis, interpretation and MS writing. Armadillo, E., Ferraccioli, F., Zunino, A., Bozzo, E., 2007. Aeromagnetic anomaly patterns reveal buried faults along the eastern margin of the Wilkes Subglacial Basin (East Antarctica). In: Cooper, A.K. ; Raymond, C.R., (eds.) Antarctica: a keystone in a changing world. Online proceedings of the 10th Int. Symp. Antarctic Earth Sci., Santa Barbara, California, Nat. Acad. Press, 4pp. (USGS OFR, 2007-1047). Armadillo, E., Ferraccioli, F., Zunino, A., Bozzo, E., Rocchi, S., Armienti, P., 2007. Aeromagnetic search for Cenozoic magmatism over the Admiralty Mountains Block (East Antarctica). In: Cooper, A.K. ; Raymond, C.R., (eds.) Antarctica: a keystone in a changing world. Online proceedings of the 10th Int. Symp. on Antarctic Earth Sci., Santa Barbara, California, Nat. Acad. Press, 4pp. (USGS OFR 2007-1047). Armadillo, E., Ferraccioli, F., Gambetta, M., Talarico, F., Zunino, A., Zangani, M., Bozzo, E., 2007. A high-resolution aeromagnetic survey over the Cape Roberts Rift Basin: correlations with seismic reflection and physical property data. In: 10th Int. Symp. Antarctic Earth Sci., Santa Barbara, California, Nat. Acad. Press. Ferraccioli, F., Jones, P.C., Leat, P., Jordan, T.A., 2007. Airborne geophysics as a tool for geoscientific research in Antarctica: some recent examples. In: Cooper, A.K. ; Raymond, C.R., (eds.) Antarctica: a keystone in a changing world. Online proceedings of the 10th Int. Symp. Antarctic Earth Sci., 4pp. Nat. Acad. Press (USGS OFR, 2007-1047). Ferraccioli, F., Jordan, T., Armadillo, E., Bozzo, E., Corr, H., Caneva, G.; Robinson, C.; Tabacco, I., 2007. Exploring under the East Antarctic Ice Sheet with new aerogeophysical surveys over the Wilkes Subglacial Basin, the Transantarctic Mountains and Dome C. In: Cooper, A.K. ; Raymond, C.R., (eds.) Antarctica: a keystone in a changing world. Online proceedings of the 10th Int. Symp. Antarctic Earth Sci., National Acad. Press, 4pp. (USGS OFR, 2007-1047). Jordan, T.A., Ferraccioli, F., Jones, P.D., Smellie, J.L., Ghidella, M., Corr, H., Zakrajsek, A.F., 2007. High-resolution airborne gravity imaging over James Ross Island (West Antarctica). In: Cooper, A.K. ; Raymond, C.R. ; ISAES Editorial Team, (eds.) Antarctica: a keystone in a changing world. Online proceedings of the 10th Int. Symp. Antarctic Earth Sci., Santa Barbara, California, Nat. Acad. Press, 4pp. (USGS OFR, 2007-1047). Leat, P.T., Curtis, M.L., Riley, T.R., Ferraccioli, F., 2007. Jurassic magmatism in Dronning Maud Land: synthesis of results of the MAMOG project. In: Cooper, A.K. ; Raymond, C.R., (eds.) Antarctica: a keystone in a changing world. Online proceedings of the 10th Int. Symp. Antarctic Earth Sciences, Santa Barbara, California. National Acad. Press, 4pp. (USGS OFR, 2007-1047). Scheinert, M., Ferraccioli, F., Müller, J., Jordan, T., Dietrich, R., 2007. Modelling recent airborne gravity data over the Antarctic Peninsula for regional geoid improvement. In: Cooper, A.K. ; Raymond, C.R. ; ISAES Editorial Team, (eds.) Antarctica: a keystone in a changing world. Online proceedings of the 10th Int. Symp. Antarctic Earth Sci., Santa Barbara, California, Nat. Acad. Press, 4pp. (USGS OFR, 2007-1047). Ferraccioli, F., Jordan, T. A., Vaughan, D.G., Holt, J., James, M., Corr, H., Blankenship, D.D., Fairhead, J.D., Diehl, T.M., 2007. New aerogeophysical survey targets the extent of the West Antarctic Rift System over Ellsworth Land. In: Cooper, A.K. ; Raymond, C.R., (eds.) Antarctica: a keystone in a changing world. Online proceedings of the 10th Int. Symp. Antarctic Earth Sci., Santa Barbara. Nat. Acad. Press, 4pp. (USGS OFR, 2007-1047). Holt, J.W., Blankenship, D.D., Ferraccioli, F., Vaughan, D.G., 2007. New aeromagnetic results from the Thwaites Glacier catchment, West Antarctica. In: Cooper, A.K. ; Raymond, C.R. ; ISAES Editorial Team, (eds.) Antarctica: a keystone in a changing world. Online proceedings of the 10th International Symposium on Antarctic Earth Sciences, Santa Barbara, California. Nat. Acad. Press, 3pp. (USGS OFR, 2007-1047). Golynsky, A., Blankenship, D., Chiappini, M., Damaske, D., Ferraccioli, F., Finn, C., Golynsky, D., Goncharov, A., Ishihara, T., Ivanov, S., Jokat, W., Kim, H.R., König, M., Masolov, V., Nogi, Y., Sand, M., Studinger, M., von Frese, R., 2007. New magnetic anomaly map of East Antarctica and surrounding regions. In: Cooper, A.K. ; Raymond, C.R., (eds.) Antarctica: a keystone in a changing world. Online proceedings of the 10th Int. Symp. Antarctic Earth Sci., Santa Barbara. Nat. Acad. Press, 4pp. (USGS OFR, 2007-1047). Golynsky, A.V., Chiappini, M., Damaske, D., Ferraccioli, F. , Finn, C.A., Ishihara, T. , Kim, H. R., Kovacs, L. , Masolov, V. N., Morris, P. , von Frese, R.R.B., 2006. ADMAP- A Digital Magnetic Anomaly Map of the Antarctic. Contributions to Global Earth Sciences, (Futterer D.K., Damaske D., Kleinschmidt G., Miller H., Tessensohn F., eds.) Springer-Verlag, Berlin Heidelberg New York, 109-116. Ferraccioli F., E. Bozzo, and D. Damaske, 2002. Crustal blocks of the King Edward VII Peninsula interpreted from magnetic anomalies, Marie Byrd Land, West Antarctica, In: Gamble J.A., D.N.B. Skinner, S. Henrys eds. Antarctica at the close of a Millennium. Proceedings of the 8th Int. Symp. Antarctic Earth Sci., Royal Society of New Zealand Bulletin 35, SIR Publishing, pp. 533-538. Bozzo, E., Ferraccioli, F., Spano, M., Chiappini, M., Damaske, D., Behrendt, J., 2002. Recent progress towards the compilation of an integrated magnetic anomaly map of the Ross Sea sector of Antarctica, In: Gamble J.A., D.N.B. Skinner, S. Henrys eds. Antarctica at the close of a Millenium. Proceedings of the 8th Int. Symp. Antarctic Earth Sci., Royal Society of New Zealand Bulletin, 35, SIR publishing, pp. 629-634. Damaske D., Bozzo, E., Caneva, G., Chiappini, M., Colla, A., Ferraccioli, F., Meloni, A., Möller, H.D., 2002. Total field magnetic anomaly map 1: 250,000 of Marie Byrd Land (Edward VII Peninsula/Sulzberger Bay area) Antarctica, In: Gamble J.A., D.N.B. Skinner, S. Henrys eds. Antarctica at the close of a Millennium. Proceedings of the 8th Int. Symp. Antarctic Earth Sci., Royal Society of New Zealand Bulletin, 35, SIR Publishing, pp. 635-637. Bozzo E., Ferraccioli, F. , Gambetta, M. , Caneva, G., Chiappini, M., Damaske, D., 2002. Total magnetic anomaly map 1:250,000 over northern Victoria Land between central Rennick Glacier and Evans Névé (Antarctica), In: Gamble J.A., D.N.B. Skinner, S. Henrys eds. Antarctica at the close of a Millenium. Proceedings of the 8th Int. Symp. Antarctic Earth Sci., Royal Society of New Zealand Bulletin, 35, SIR Publishing, 625-627. Armadillo E., Bonaccorso, A., Caneva, G., Capra, A., Falzone, P., Ferraccioli, F., Mancini, F., Privitera, E., Vittuari, L., 2002. Geophysical features of the Mt. Melbourne area and first results from the integrated network for monitoring the volcano (Antarctica), In: Gamble J.A., D.N.B. Skinner, S. Henrys ed. Antarctica at the close of a Millennium. Proceedings of the 8th Int. Symp. Antarctic Earth Sci., Royal Society of New Zealand Bulletin, 35, SIR Publishing, 571-578. Della Vedova, B., Pellis, G. , Accaino, F. , Petronio, L. , Romanelli, M. , Rinaldi, C. , Febrer, J. , Tassone, A., Mazzarini, F., Bozzo, E. , Caneva, G. , Zhang, J. , GRUPPO TENAP (incl. Ferraccioli F), 1999. Prime indicazioni sullo spessore crostale della Penisola Antartica (Progetto TENAP). Atti del 16° Convegno Nazionale del Gruppo Nazionale Geofisica Terra Solida. Bozzo, E., Caneva, G., Chiappini, M., Colla, A., Damaske, D., Ferraccioli, F., Gambetta, M., Moeller D., Meloni, A., 1997. Total magnetic anomaly map of Victoria Land (central-southern part), Antarctica, in: The Antarctic Region: Geological Evolution and Processes, edited by C.A. Ricci, Terra Antartica Publ., pp. 1165-1166. Bozzo, E., Ferraccioli, F., Gambetta, M., Caneva, G., Damaske, D., Chiappini, M., Meloni, A., 1997. Aeromagnetic regional setting and some crustal features of central-southern Victoria Land from the GITARA surveys, in: The Antarctic Region: Geological Evolution and Processes, edited by C.A. Ricci, Terra Antartica Publ., pp. 591-596. Bozzo, E., Damaske, D., Caneva, G., Chiappini, M., Ferraccioli, F., Gambetta, M., & Meloni, A., 1997. A high resolution aeromagnetic survey over proposed drill sites offshore of Cape Roberts in the Southwestern Ross Sea (Antarctica), in: The Antarctic Region: Geological Evolution and Processes, edited by C.A Ricci, Terra Antartica Publ., 1129-1133. Bozzo, E., Ferraccioli, F., Gambetta, M., Caneva, G., Damaske, D., Chiappini, M., ACRUP Working Group, 1997. Aeromagnetic investigation in the area of the ACRUP seismic line, central-southern Victoria Land (Antarctica), in: The Antarctic Region: Geological Evolution and Processes, edited by C.A. Ricci, Terra Antartica Publ., pp. 627-630.
Cooper A.K., Trey H., Pellis G., Cochrane G., Egloff, F., Busetti, M., ACRUP Working Group (incl. Ferraccioli), 1997. Crustal structure of the southern Central Trough, Western Ross Sea, in: The Antarctic Region: Geological Evolution and Processes, edited by C.A. Ricci, Terra Antartica Publ., pp. 637-642. Della Vedova B., Pellis, G., Trey, H., Zhang, J. , Cooper, A.K., Makris, J. , ACRUP Working Group (incl. Ferraccioli), 1997. Crustal structure of the Transantarctic Mountains, Western Ross Sea, in: The Antarctic Region: Geological Evolution and Processes, edited by C.A. Ricci, Terra Antartica Publ., pp. 609-618. Reitmayr G., Damm V., Bozzo E., Caneva G., & ACRUP Working Group (incl. Ferraccioli), 1997. Gravity and ice thickness surveys in Victoria Land, Antarctica, during the ACRUP Experiment, in The Antarctic Region: Geological Evolution and Processes, edited by C.A. Ricci, Terra Antartica Publ., pp. 619-626. Trey H., Makris, J., Brancolini, G., Cooper, A.K., Cochrane, G., Della Vedova, B., ACRUP Working Group (incl. Ferraccioli), 1997. The Eastern Basin crustal model from wide-angle reflection, Ross Sea, Antarctica, in The Antarctic Region: Geological Evolution and Processes, edited by C.A. Ricci, Terra Antartica Publ., pp. 643-648. Ferraccioli F., Gambetta, M. , Bozzo, E. , Damaske, D. , Caneva, G. , Chiappini, M., 1996. Contributo del rilievo aeromagnetico ad alta risoluzione al site survey del “Cape Roberts Drilling Project” (Antartide). Atti del 14° Convegno Nazionale del Gruppo Nazionale Geofisica Terra Solida, 521-527. Gambetta M., Ferraccioli, F., Bozzo, E., Damaske, D., Chiappini, M., Meloni, A., 1996. I rilievi aeromagnetici “GITARA” nella Terra Vittoria (Antartide): tecniche di elaborazione ed interpretazione. Atti del 14° Convegno Nazionale del Gruppo Nazionale Geofisica Terra Solida, 751-757. Ferraccioli F., 2014. Airborne geophysics in the Antarctic. Science in Cycles. International Innovation, 125, Research MediaLtd., 100-101. Ferraccioli, F., Gerard, F., Robinson, C., Jordan, T., Biszczuk, M., Ireland, L., Beasley, M., Vidamour, A., Barker, A., Arnold, R., Dinn, M., Fox, A., Howard, A., 2014. LiDAR based Digital Surface Model (DSM) data for South West England. NERC-Environmental Information Data Centre doi:10.5285/b81071f2-85b3-4e31-8506-cabe899f989a. Ferraccioli, F., Gerard, F., Robinson, C., Jordan, T., Biszczuk, M., Ireland, L., Beasley, M., Vidamour, A., Barker, A., Arnold, R., Dinn, M., Fox, A., Howard, A., 2014. LiDAR based Digital Terrain Model (DTM) data for South West England. NERC-Environmental Information Data Centre doi:10.5285/e2a742df-3772-481a-97d6-0de5133f4812. Bozzo, E., Damaske D., Ferraccioli, F, Moeller D., 2006. Total magnetic anomaly map of the Lille Glacier area (Northern Victoria Land), Edited by E. Bozzo and D. Damaske, Compiled by Damaske D & Ferraccioli F., Antarctic Geomagnetic 1:250 000 map series, Museo Nazionale dell’ Antartide- Sez. di Scienze della Terra, Siena, Italy, Ministero dell’Università e della Ricerca Scientifica e Tecnologica- Programma Nazionale delle Ricerche in Antartide. Bozzo E., Caneva, G. , Chiappini, M. , Damaske, D. , Ferraccioli, F., Gambetta, M., 2002. Total magnetic anomaly map of northern Victoria Land between central Rennick Glacier and Evans Névé, Edited by E. Bozzo and D. Damaske, Antarctic Geomagnetic 1:250 000 map series, Museo Nazionale dell’Antartide- Sez. di Scienze della Terra, Siena, Italy, Ministero dell’Università e della Ricerca Scientifica e Tecnologica- Programma Nazionale delle Ricerche in Antartide. Damaske D., Bozzo, E., Caneva, G., Chiappini, M., Colla, A., Ferraccioli, F., Meloni, A., Möller, H.D., 2001. Total magnetic anomaly map of Marie Byrd Land, (Edward VII Peninsula/ Sulzberger Bay area), Edited by D. Damaske and E. Bozzo, Antarctic Geomagnetic 1:250 000 map series, Museo Nazionale dell’Antartide- Sez. di Scienze della Terra, Siena, Italy, Ministero dell’Università e della Ricerca Scientifica e Tecnologica- Programma Nazionale delle Ricerche in Antartide. Golynsky, A.V., Chiappini, M. , Damaske, D. , Ferraccioli, F., Ferris, J. , Finn, C.A., Ghidella, M., Isihara, T., Johnson, A. , Kovacs, S., Masolov, V., Nogi, Y., Purucker, M., Taylor, P., Torta, M., ADMAP- Magnetic anomaly map of the Antarctic, 1:10,000 scale map. BAS (Misc.) 10. Cambridge, British Antarctic Survey. Chiappini M., R.B. von Frese, J.C. Behrendt, R. Bell, E. Bozzo G. Brancolini, D. Damaske, A. De Santis, F. Ferraccioli, J. Ferris, C. Finn, M. E. Ghidella, A. Golynski, G.P. Gregori, A. Grunow, T. Ishihara, C. Jewell, A. Johnson, J. LaBreque, E. Lodolo, S. Mashenkov, A. Meloni, P. Morris, Y. Nogi, M. Purucker, P. Taylor, and M. Torta, 1999. Report of the II SCAR/IAGA Working Group on the Antarctic Digital Magnetic Anomaly Project (ADMAP II), Publicazione n. 601 Istituto Nazionale di Geofisica, 96 pp. Bozzo E., Caneva G., Colla A., Damaske D., Ferraccioli F., Gambetta M., Meloni A., Moeller H.D., 1997. Total magnetic anomaly map of Victoria Land (central-southern part), Edited by E. Bozzo and D. Damaske, Antarctic Geomagnetic 1:250 000 map series, Museo Nazionale dell’Antartide- Sez. di Scienze della Terra, Siena, Italy, Ministero dell’Università e della Ricerca Scientifica e Tecnologica- Programma Nazionale delle Ricerche in Antartide, Sheets A-B. Ferraccioli, F., Jordan, T., Armadillo, E., Bozzo, E., Corr, H., Caneva, G., Robinson, C., Frearson, N., Tabacco, I., 2007. Collaborative aerogeophysical campaign targets the Wilkes Subglacial Basin, the Transantarctic Mountains and the Dome C region. Terra Antartica Reports, 13, 1-36. Corr, H. F.J., Ferraccioli, F., Frearson, N., Jordan, T.A., Robinson, C., Armadillo, E., Caneva, G., Bozzo, E., Tabacco, I., 2007. Airborne radio-echo sounding of the Wilkes Subglacial Basin, the Transantarctic Mountains and the Dome C region. Terra Antartica Reports, 13, 55-63. Jordan, T., Ferraccioli, F., Corr, H.; Robinson, C., Caneva, G., Armadillo, E., Bozzo, E., Frearson, N., 2007. Linking the Wilkes Subglacial Basin the Transantarctic Mountains and the Ross Sea with a new airborne gravity survey. Terra Antartica Reports, 13, 37-54. Bozzo, E.; Ferraccioli, F., eds. 2007. The Italian-British Antarctic geophysical and geological survey in northern Victoria Land 2005-06 – towards the International Polar Year 2007-08. Siena, Terra Antartica Publication, 110pp. (Terra Antartica Reports, 13). Armadillo E., Bozzo, E., Caneva, G., Ferraccioli F., Tabellario, G., 2006. Recent Aeromagnetic and Deep Electromagnetic Exploration Projects in East Antartica. In: Proceedings of the Workshop Frontiers and Opportunities in Antarctic Geosciences, edited by C. Siddoway & Carlo Alberto Ricci, Terra Antartica Reports, 12, 167-176. Damaske D., Ferraccioli, F., Bozzo, E., Chiappini, M., 2003. Images of aeromagnetic anomalies over Edward VII Peninsula, northwestern Marie Byrd Land, Antarctica, Geol. Jahrbuch. GANOVEX VII Volume, BGR Hannover, 79-100. Damaske, D., Bozzo, E., Moeller, D., Ferraccioli, F., Chiappini, M., 2001. A new aeromagnetic survey along the Pennell, Oates and George V Coast (East Antarctica), in: Ganovex VIII – ItaliAntartide XV Antarctic expedition 1999-2000, edited by E. Bozzo and D. Damaske, Terra Antartica Reports No. 5, pp. 1-11. Della Vedova B., Febrer, J., Nicolich, R., Rinaldi C., & the TENAP project Group, 1998. Cenozoic Tectonic Evolution of the Northern Antarctic Peninsula (TENAP project), XII ItaliAntartide Expedition 1996-97- Field Data Reports, Terra Antartica Reports, 2, 61-70. Corr, Hugh F.J., Ferraccioli, Fausto, Frearson, Nicholas, Jordan, T., Robinson, Carl, Armadillo, E., Caneva, G., Bozzo, E., Tabacco, I.. (2007) Airborne radio-echo sounding of the Wilkes Subglacial Basin, the Transantarctic Mountains and the Dome C region. Terra Antartica Reports, 13. 55-63. Ferraccioli, Fausto, Jordan, Tom, Armadillo, E., Bozzo, E., Corr, Hugh, Caneva, G., Robinson, Carl, Frearson, Nicholas, Tabacco, I.. (2007) Collaborative aerogeophysical campaign targets the Wilkes Subglacial Basin, the Transantarctic Mountains and the Dome C region. Terra Antartica Reports, 13. 1-36. Ferraccioli, Fausto, Jordan, Tom, Armadillo, E., Bozzo, E., Corr, Hugh, Caneva, G., Robinson, Carl, Tabacco, I.. (2007) Exploring under the East Antarctic Ice Sheet with new aerogeophysical surveys over the Wilkes Subglacial Basin, the Transantarctic Mountains and Dome C. In: Antarctica: a keystone in a changing world. Online proceedings of the 10th International Symposium on Antarctic Earth Sciences, Santa Barbara, California, August 26 - September 1, 2007, National Academy Press, 4 pp. (U.S. Geological Survey Open-File Report, ). Ferraccioli, Fausto, Jordan, Tom A., Vaughan, David G., Holt, J., James, M., Corr, Hugh, Blankenship, D.D., Fairhead, J.D., Diehl, T.M.. (2007) New aerogeophysical survey targets the extent of the West Antarctic Rift System over Ellsworth Land. In: Antarctica: a keystone in a changing world. Online proceedings of the 10th International Symposium on Antarctic Earth Sciences, Santa Barbara, California, August 26 - September 1, 2007, National Academy Press, 4 pp. (U.S. Geological Survey Open-File Report, ). Holt, J.W., Blankenship, D.D., Ferraccioli, F., Vaughan, D.G.. (2007) New aeromagnetic results from the Thwaites Glacier catchment, West Antarctica. In: Antarctica: a keystone in a changing world. Online proceedings of the 10th International Symposium on Antarctic Earth Sciences, Santa Barbara, California, August 26 - September 1, 2007, National Academy Press, 3 pp. (U.S. Geological Survey Open File Report, ). Jordan, T., Ferraccioli, F., Corr, H., Robinson, C., Caneva, G., Armadillo, E., Bozzo, E., Frearson, N.. (2007) Linking the Wilkes Subglacial Basin the Transantarctic Mountains and the Ross Sea with a new airborne gravity survey. Terra Antartica Reports, 13. 37-54. Armadillo, E., Ferraccioli, Fausto, Gambetta, M., Talarico, F., Zunino, A., Zangani, M., Bozzo, E.. (2007) A high-resolution aeromagnetic survey over the Cape Roberts Rift Basin: correlations with seismic reflection and magnetic susceptibility log data. Extended abstract. In: 10th International Symposium on Antarctic Earth Sciences Santa Barabara, California, August 26 - September 1, 2007. National Academy Press. Bozzo, E., Ferraccioli, Fausto (eds.). (2007) The Italian-British Antarctic geophysical and geological survey in northern Victoria Land 2005-06 – towards the International Polar Year 2007-08. Siena, Terra Antartica Publication, 110 pp. (Terra Antartica Reports, 13). Scheinert, Mirko, Ferraccioli, Fausto, Müller, Jan, Jordan, Tom, Dietrich, Reinhard. (2007) Modelling recent airborne gravity data over the Antarctic Peninsula for regional geoid improvement. In: Antarctica: a keystone in a changing world. Online proceedings of the 10th International Symposium on Antarctic Earth Sciences, Santa Barbara, California, August 26 - September 1, 2007, California, National Academy Press, 4 pp. (U.S. Geological Survey Open-File Report, ). Golynsky, Alexander, Chiappini, Massimo, Damaske, Detlef, Ferraccioli, Fausto, Finn, Carol A., Ishihara, Takemi, Kim, Hyung Rae, Kovacs, Luis, Masolov, Valery N., Morris, Peter, von Frese, Ralph. (2006) ADMAP – a digital magnetic anomaly map of the Antarctic. In: Antarctica: contributions to global earth sciences. Proceedings of the IX International Symposium of Antarctic Earth Sciences, Potsdam, 2003, Berlin, Springer, 109-116. Armadillo, E., Bozzo, E., Caneva, G., Ferraccioli, F., Tabellario, G.. (2006) Recent aeromagnetic and deep electromagnetic exploration projects in East Antarctica. Terra Antartica Reports, 12. 167-176. Ferraccioli, F., Jones, P.C., Curtis, M.L., Leat, P.T., Riley, T.R.. (2005) Tectonic and magmatic patterns in the Jutulstraumen rift (?) region, East Antarctica, as imaged by high-resolution aeromagnetic data. Earth, Planets and Space, 57. 767-780. Ferraccioli, Fausto, Bozzo, Emanuele. (2003) Cenozoic strike-slip faulting from the eastern margin of the Wilkes Subglacial Basin to the western margin of the Ross Sea rift: an aeromagnetic connection. In: Intraplate strike-slip deformation belts, London, Geological Society of London, 109-133. (Geological Society Special Publication, ). June 2015-Present. Project partner on the ICECAP-2 project over Princess Elizabeth Land. Funded by British Council. Collaboration with UK HEI’s, China, US, Australia and India. 2013-Present UK PI on the ICEGRAV -Recovery catchment project in East Antarctica (Danish, Norwegian, Argentina, US project). 2013-2014 BAS PI on the TELLUS project- Airborne lidar surveys over South West Cornwall (UK). Led by BGS & in collaboration with CEH, PML, and EA; funded by BIS. 2008-2014 UK Project manager for Antarctica’s Gamburtsev Province AGAP: a flagship project of the International Polar Year involving research agencies, logistics and also companies from 7 nations (US, UK, Germany, AUS, China, Japan, Canada). 2008-2013 Project partner on ICECAP Investigating Cryosphere evolution of the East Antarctic Ice Cap (US-UK-Australia). 2005-2009 Co-Investigator for project Ice-House Earth: Stability or Dynamism – BAS (PI for airborne geophysics component). 2005-2002 Member of Geological Sciences Divisional Management Group, BAS. 2005-04 Member of project Basin Balance Assessment and Synthesis– BAS. (Airborne geophysics component). 2005-03 Member of Investigation of widespread enhanced flow in the interior of the Antarctic Ice Sheet, AFI project. 2005-02 Member of project Magmatism as a Monitor of Gondwana break-up processes– BAS (Airborne geophysics component). 2005-02 Member of project Superterranes in the Pacific margin arc– BAS (PI for airborne geophysics component). 2004-06 Co-I Wilkes Basin Eastern Margin– PNRA project (Italy). 2002-01 Co-I of Tectonics and Interior of Mount Melbourne– PNRA project. 2002-1995 Member of Geomagnetic Map Series of the Antarctic continent– PNRA project. 2001-1999 Member of ITASE (geophysical traverse) across the Wilkes Subglacial Basin– PNRA. 2002-00 Co-I Cenozoic magmatism north of Tucker Glacier– PNRA project. 2001-1999 Co-I Backside of the Transantarctic Mountains, (BACKTAM-GANOVEX VIII PNRA-German Antarctic project). 2001-1999 Co-I Aerogeophysical Investigations of the Transantarctic Mountains, PNRA-NSF (US) AEROTAM project. 2001-1999 Co-I Integrated Transantarctic Mountains\Ross Sea Area Magnetic Anomaly Project (INTRAMAP)– German-Italian- US project PNRA-BGR-NSF. 1999-1995 Member of 6 German-Italian Aeromagnetic Research in Antarctica. 1998-97 Member of Environmental Geophysics project– Univ. Genoa. 1998-96 Member of Tectonic Evolution of the northern Antarctic Peninsula project (TENAP)-PNRA-Argentina. 1998-96 Member of Modelling Mt. Melbourne volcano dynamic processes –PNRA project. 1998-95 Member of Geophysical Exploration of the East Antarctic Craton– PNRA project. 1998-95 Member of Mesozoic and Cenozoic Tectonic Evolution and Paleoenvironment of the Antarctic continent. 1997-95 Member of Geological, Geomorphological, and Geophysical mapping project-PNRA. 1997-93 Member of Antarctic Crustal Profile (ACRUP) wide-angle seismic project across the Transantarctic Mountains and Ross Sea- PNRA. 1997-94 Member of geophysics component of the Cape Roberts International Drilling project. 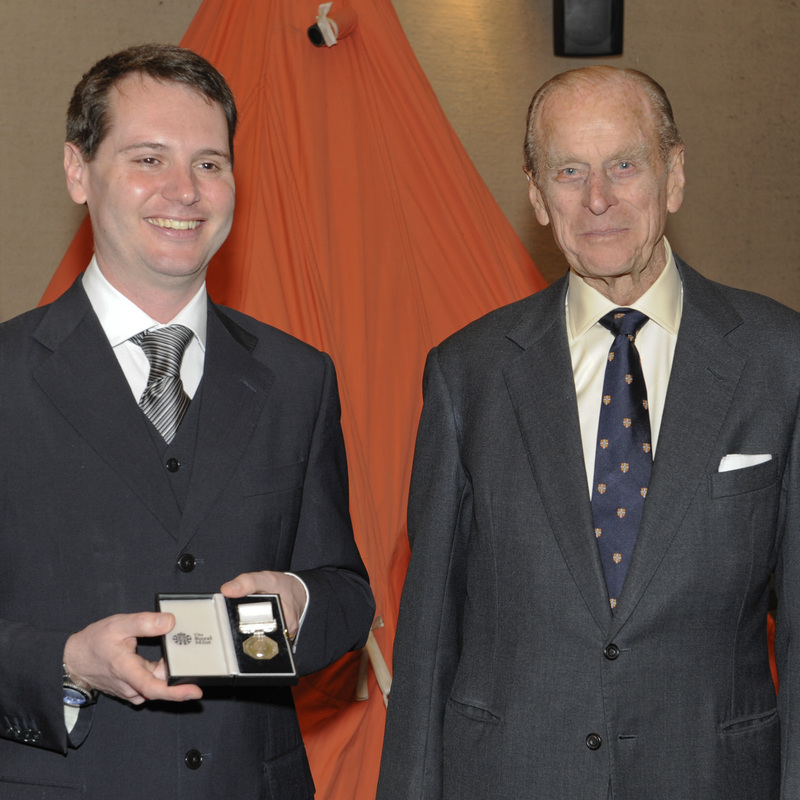 Fausto receives his Polar Medal from HRH Prince Philip in 2010.